Range of centrifugal roof mounted fans to mount directly above a circular duct for the ventilation of housing and small enclosure. 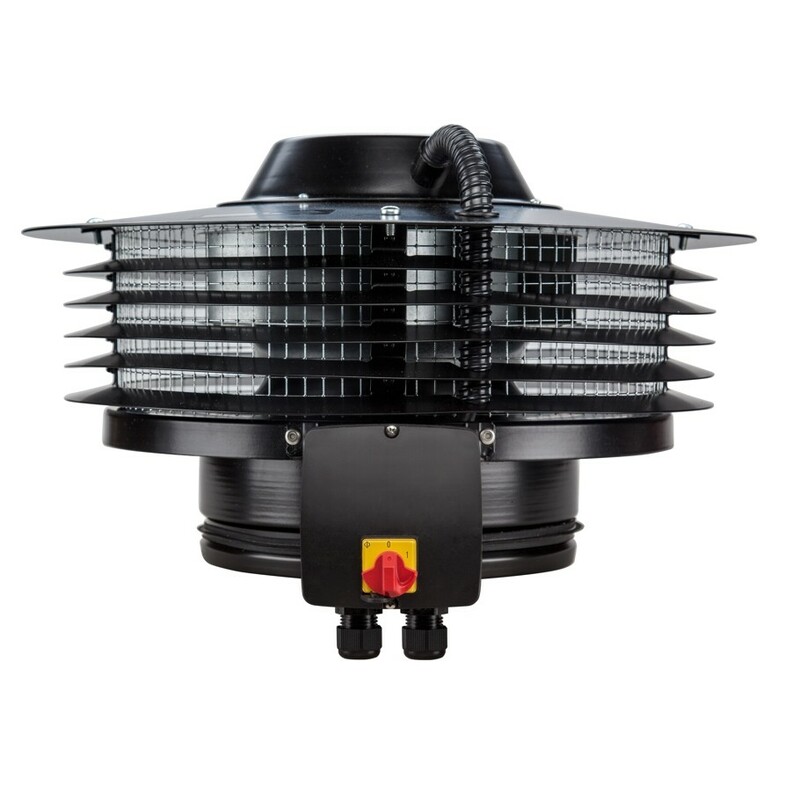 - Centrifugal roof mounted fan in horizontal discharge format. - Analogical input with terminals in the connection box to control the fan with 0-10V input signal. - Manufactured from galvanized sheet steel protected with black polyester paint.